Kingsley is the son of Lucious and he wants his father to pay. 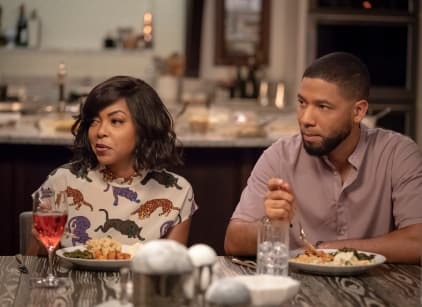 Meanwhile, Cookie realized there was something off about the way Candace was acting and set out to find out what was going on. She and Carol showed up at her house to find Franklin choking her. Franklin punched Cookie in an attempt to get to Candace, so Cookie called the cops and they tased him. Candace punched Cookie because she got the cops involved and she was worried they shot him. Andre managed to get Quince out of jail after he asked someone to take the fall for the crime. Wynter arrived in New York City and wasted no time in getting closer to Cookie to get a recording contract.